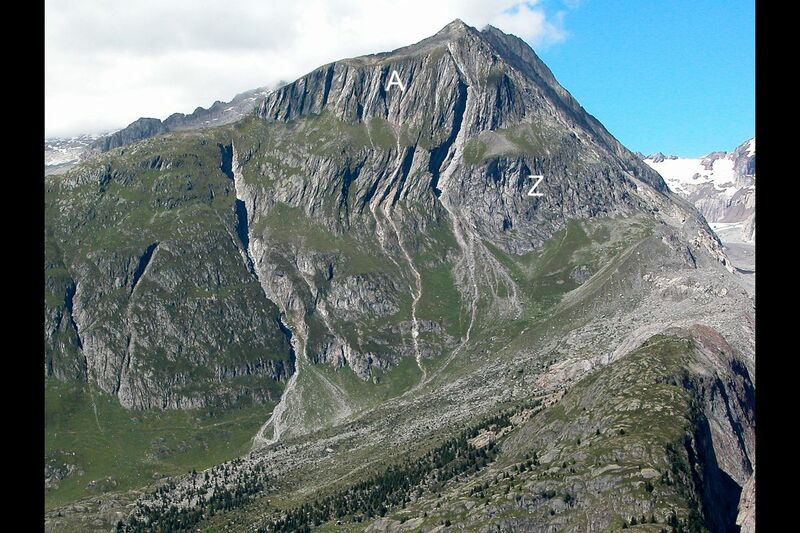 Steeply inclined layers of the crystalline basement near the Moosfluh. 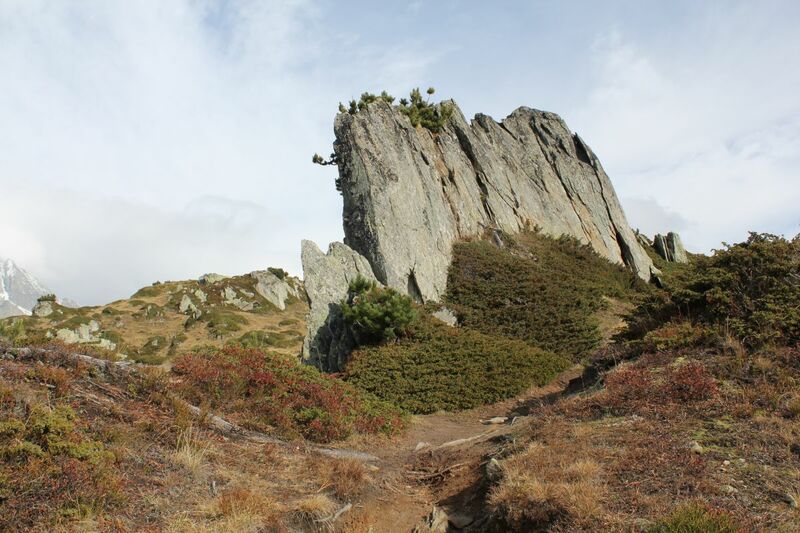 Steep towering layer head of the crystalline basement near the Moosfluh. 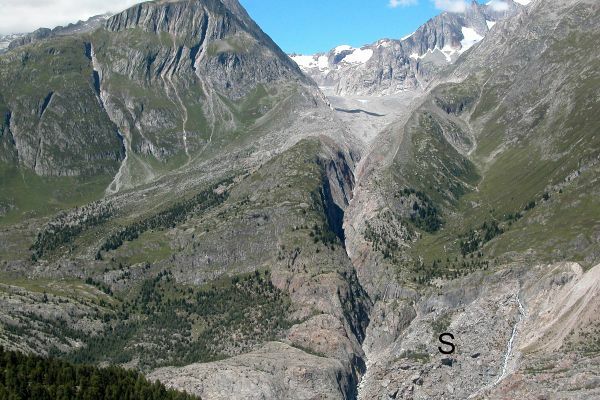 The steeply inclined layers of the crystalline basement (A) and the compact central Aare granite (Z) are opened on the Sparrhorn. 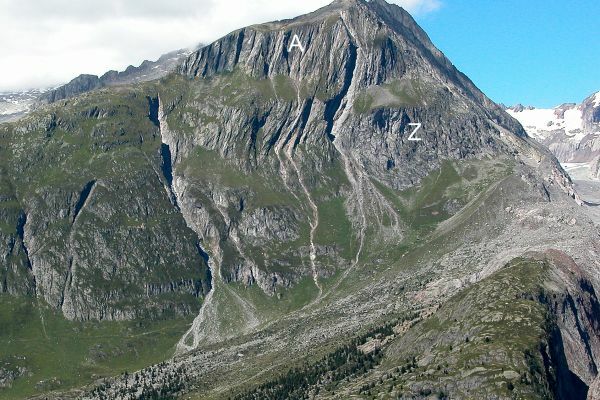 The Aar Massif belongs beside the Gotthard, the Aiguilles Rouges / Arpille and the Mont Blanc Massif to the central massifs and forms part of the crystalline basement, the fundament of the Alps. 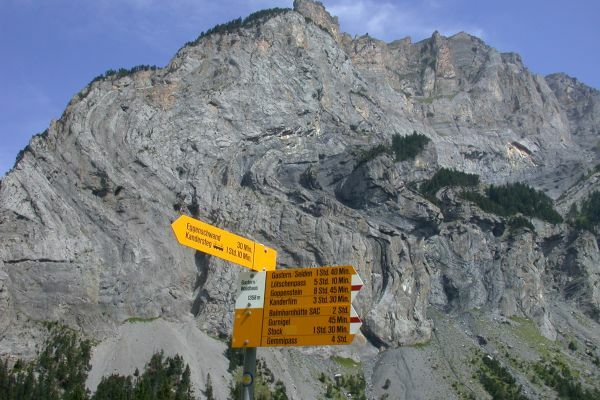 The Aar Massif is made up of the so-called crystalline basement, the oldest rocks of Switzerland, and the central Aare granite. 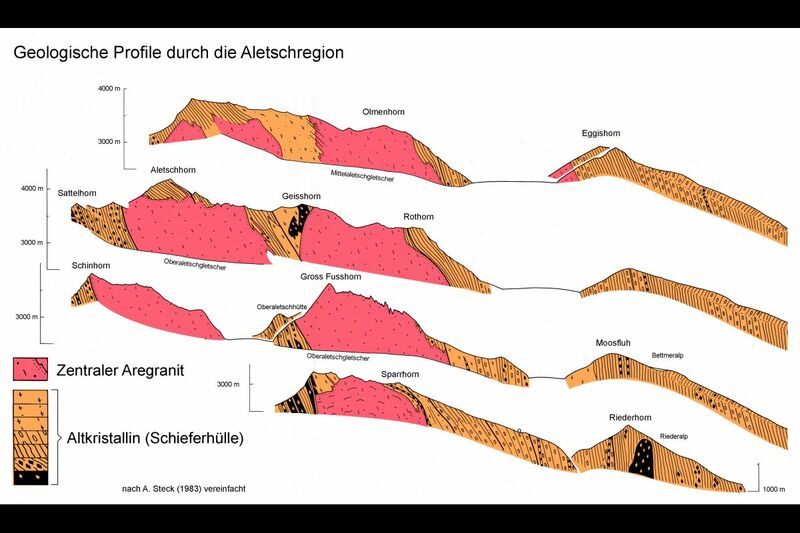 Approximately half of the Aar Massif is occupied by the crystalline basement, containing 1,2 to 2 billion years old individual minerals. 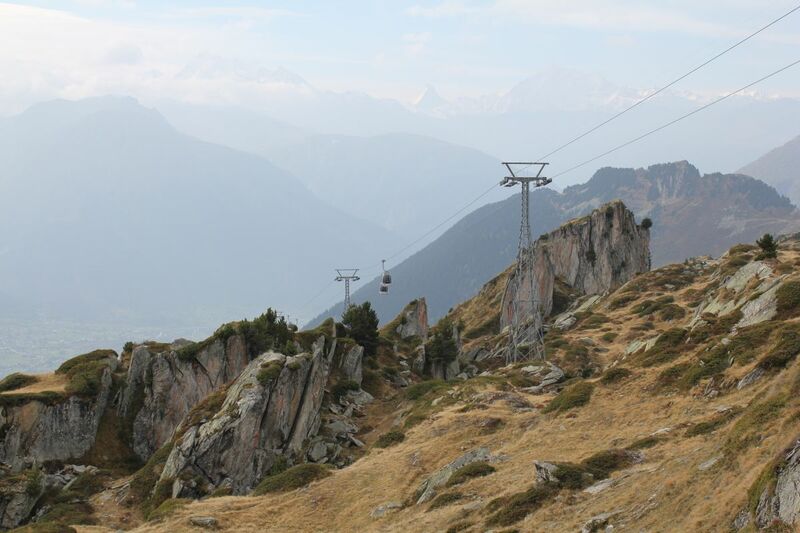 The Central Aare granite is much younger, it has penetrated in the crystalline basement 300 million years ago. 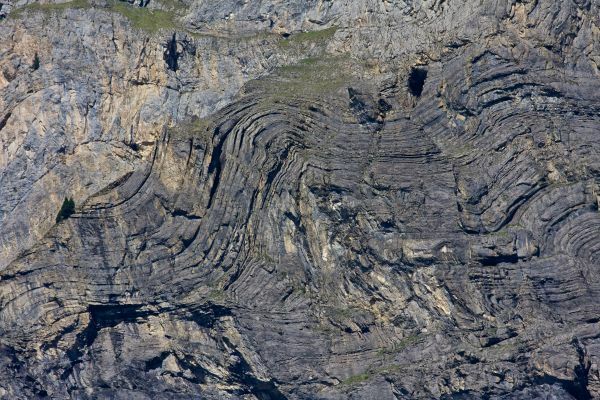 The crystalline basement consists of skewed schists and gneisses, which appear in some places at the surface like a plate and have the tendency to hook shot, for example in the area of Bettmeralp and Riederalp. 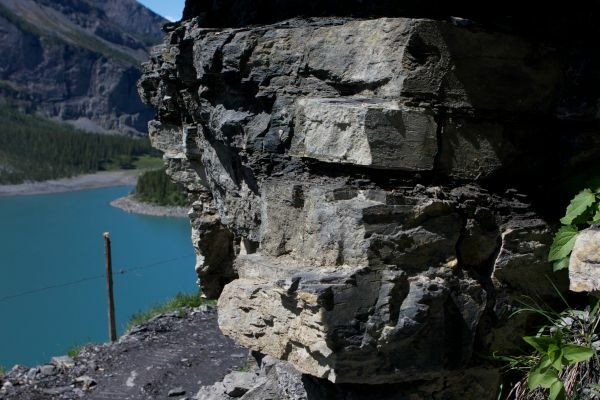 With the hook shot, steeply to vertically stratified rock tilts downhill as a result of gravity and weathering. 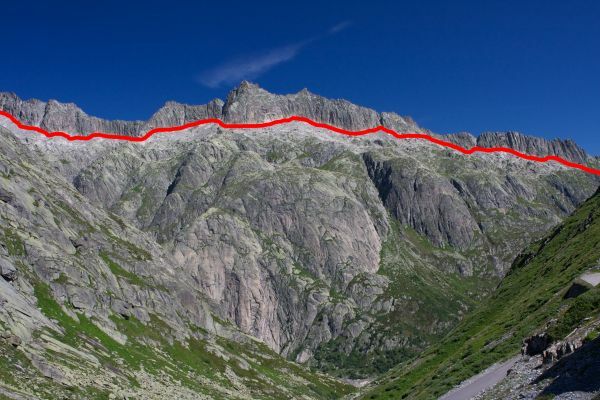 On the steep valley sides develop small and large-scale sagging due to gravitational movements. 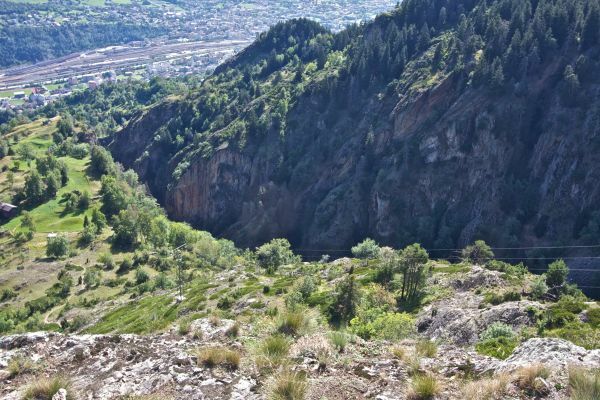 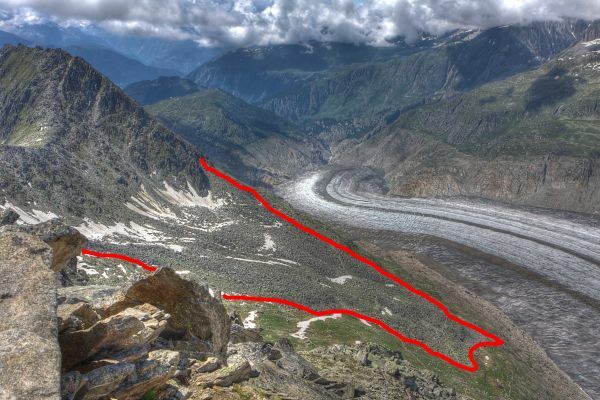 This can be seen for example in the Rhone valley between Mörel and Fiesch as well as in the tongue area at the end of the Great Aletsch glacier.